MUROS- C provides a full capability to detect and classify all communication devices in the frequency range from few KHz to 6 GHz and higher. This implies a multi-antenna configuration that allows surveillance of the frequency band by searching / scanning functions, and then direction finding of the communication emitters. It is equipped with a set of communication interception antennas, providing all signals of interest and a direction finding capability. Mounting the antennas on a mast provides ideal conditions for receiving signals. The operator work posts provides all software tools to analyse and decrypt the communication. COMINT (C-ESM) Sensors, GSM interception sensors, Open source databases and Internet, and Human observers are merged to a complete situational picture integrated in Geographic Information systems (GIS). Additionally the system is empowered with mass data analysis software, superior text analysis ans semantic capabilities. Interactive Analysis (faceting, correlation, clustering) and Visual Analysis, which are tailored to the operational work flow of the customer. On request, the Operator can select several channels simultaneously and classify the communication device and protocol. The derived information can immediately be processed broadcasted by the powerful communication equipment. 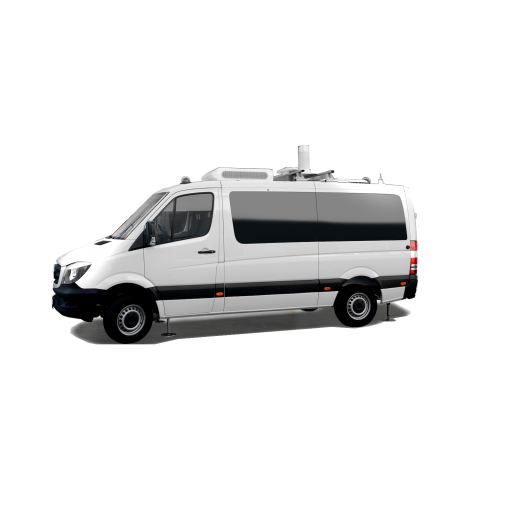 By positioning one or multiple MUROS-C vehicles in optimised locations around the area of interest the monitoring of the mobile phone traffic can be easily optimized.